This byline by Underscore CLT President Isaac Lidsky originally appears on MarTechSeries. A year ago, MediaMath Founder and CEO Joe Zawadzki and IBM Chief Digital Officer Bob Lord stood on stage at DMEXCO and painted a picture of the future of marketing. The vision they laid out would solve many long-standing challenges that have prevented marketers from unlocking the full potential of brand engagement, and help them deliver marketing that customers would truly love. Those hurdles ranged from poorly-constructed, 20-year-old plumbing built on technology like pixels and redirects, to clunky workflows and siloed data, which have hampered the industry’s ability to delight consumers with fully personalized advertising. On that stage, the two companies committed to join forces to reshape the advertising industry by connecting paid and owned media into a single view of the end-to-end customer journey using AI-powered marketing technology. It was a tall order, but over the last year, IBM Watson Marketing and MediaMath have made significant progress—and we have results to share. Together we have pooled our industry insight, data science expertise and software development prowess to build competitive offerings leveraging technologies across Artificial Intelligence and Cloud Infrastructure that are already delivering tangible marketing outcomes. For the last 11 years, MediaMath has been pioneering technology innovations to connect marketers and consumers more effectively, promoting transparency and preserving trust with measurable, meaningful experiences that are responsive to consumer needs and wants. We are proud to call IBM Watson Marketing a partner in this endeavor, and today we’re excited to provide an update on what we’ve been up to. Together we combine an open platform—purpose-built for marketers and powered by Watson intelligence—with scaled, brand-safe inventory, exclusive data and industry-leading training and support. Our joint technology enables marketers to reach the audiences they want, with the right messages at optimal times, with the scale they need to achieve the business outcomes they desire. In early pilots, campaigns are experiencing, on average, over 35 percent improved performance and 70 percent increased win rates. * These are real results, enjoyed by real marketers like you. Improved consumer experiences and programmatic marketing operations. Better decisions. Competitive advantage. Bottom-line results. Intelligent Bidder: Infused with Watson intelligence, Intelligent Bidder allows marketers to prioritize an endless range of unstructured attributes, from sentiment analysis to weather patterns, to optimize campaigns. Universal Behavior Exchange (UBX): UBX is the component that enables bi-directional audience and event data transfer between Watson Marketing products and MediaMath’s DSP/DMP platform, creating a unified user identity across AdTech and MarTech solutions. And that’s just the beginning. There’s so much more to come. Visit with IBM Watson Marketing and MediaMath at Advertising Week New York where we’ll present more details around these exciting updates. Sign up for ongoing updates at www.mediamath.com/ibm. Thank you for joining us on this journey. IBM Watson Marketing and MediaMath. Imagine that. What Does the Future Look Like for Programmatic Ads? This interview with MediaMath Managing Director, International, Dave Reed originally appears on TechHQ. Read the full article here. As marketers globally are looking to deliver more consumer-first, relevant and meaningful marketing experiences, data-driven marketing (using programmatic technology) has risen in prominence. According to eMarketer’s programmatic forecast, more than US$65 billion will be spent on programmatic digital display advertising by 2020. This significant momentum is due to the technology’s rich audience-targeting abilities, benefiting businesses of all sizes. In an exclusive interview with TechHQ, MediaMath’s Managing Director – International, Dave Reed explains the opportunity that programmatic ads offer to businesses and the how AI and other emerging technologies can transform the industry. As consumers become better connected, the volume of available audience data swells at a phenomenal rate. Businesses, including small to medium-sized ones, now realize that they are sitting on a wealth of insights and the potential to unlock and generate more value from their marketing efforts. Just because a business is small does not mean they are not collecting a large amount of data through their customer relationship management (CRM), website interactions, emails and more. By activating consumer insights through programmatic ads, businesses will be able to understand who their best customers are, what their paths to purchase look like and what messages are most relevant to these customers along the way. This way, they are offered a holistic view of their audiences and will be able to effectively engage the customer with the relevant content, at the right time. “AI’s impact on programmatic will be huge. It will change how we analyze and act upon data, it will change jobs, and it will change how we talk to consumers,” exclaimed Reed. According to Constellation Research, by 2025, businesses across all sectors will spend more than US$100 billion per year on Artificial Intelligence (AI) technologies, a huge leap from a mere $2 billion in 2015. AI and machine learning are fundamental to programmatic and have been central to MediaMath’s own offerings since inception. In fact, AI will soon move from being a “nice-to-have” capability to a “have-to-have” one for making sense of the vast amount of data being generated across touchpoints and extracting actionable insights from it quicker than any human could. But it’s not just AI that will transform programmatic ads. The industry itself is rapidly evolving, and experimenting with new and engaging media formats and technologies. 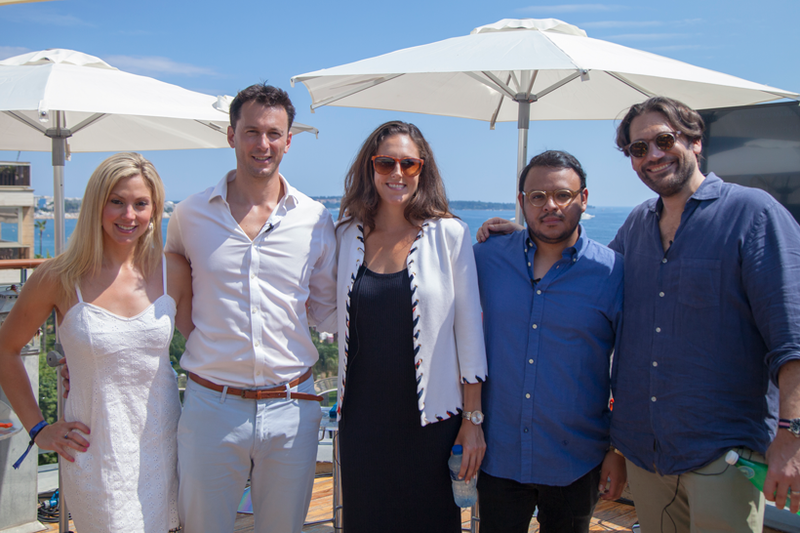 Beet.tv interviewed Matt Seiler, president, brand solutions at Dentsu Aegis Network’ at Cannes. An excerpt is below. To watch the rest of our Beet.tv series on consumer-first marketing, visit this page. 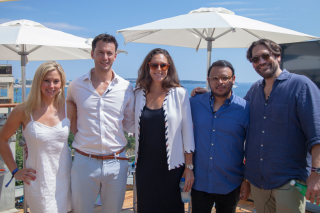 There was no shortage of talk about data at the recent Cannes Lions International Festival of Creativity. But beyond the purpose of targeting people who are actually relevant to particular brands, “when you get to the right people, what happens?” asks Dentsu Aegis Network’s Matt Seiler. In this interview with Beet.TV at the Festival, Seiler talks about the speed needed to deliver creative in real time and the utility of such technologies as artificial intelligence, artificial reality, virtual reality and blockchain. On the issue of speed, there’s some catch-up needed between desire and reality, according to Seiler. This article originally appeared in Campaign. Read the full-length article here. AI improves human marketing decisions and capabilities – it’s “simply software married to math” said MediaMath’s CEO, Joe Zawadzki – but AI can’t succeed without guidance. As much as we are “training AI to think like a human” (so said IBM Watson’s VP offering management and strategy Mark Simpson), it still needs the human touch. Ticketmaster’s vice president of direct marketing, Jen Zick, explained that AI is able to digest huge volumes of audience data to help Ticketmaster and introduce true fans to the events that are most likely to interested them. Similarly, Perez Vite from Sony said that it helps “know individual customers more deeply” to deliver the best music to the best people at the best time. This article originally appears in Harvard Business Review as a byline by our CMO/CSO Dan Rosenberg. No matter how many times an advertiser hears that they must run on mobile to reach their audiences, if they can’t measure the output of their investment, it’s a lost cause. In fact, many advertisers are refusing to invest another dime in mobile until the industry finds a common ground to solve for mobile measurement at scale to help quantify real mobile ROI. As we started discussing last year, with user identity being fragmented between cookies and device IDs, it is hard for advertisers to have a holistic view of customers and execute on a real omnichannel strategy. It is still a real challenge to offer both accuracy and scale. Only 14 percent of marketers can track cross-channel and act on data, according to a report by L2inc. The online identity ecosystem is highly dependent on Apple and Google, with US mobile browser share of voice a split between 51 percent Safari and 42 percent Chrome, and app browsers split 45 percent iOS and 53 percent Android. These challenges come by way of limited tracking ability to understand how users are engaging in these environments and other channels. Further, Apple’s Limit Ad Tracking (iOS 10), Intelligent Tracking Prevention (iOS 11) and SDK app networks and now the ITP update for social and fingerprinting (ios 12) are adding additional restrictions that advertisers need to navigate through to measure the impact of their advertising spend. Thirty-four percent of B2B marketers have no attribution model, and it’s easy to see why. Attribution models and technology are complex. Numerous internal “organizational roadblocks” can make it very hard to convince senior executives of the long-term gains of attribution over the short-term high costs. Mobile is a key point on your users’ road to conversion, but it is not necessarily the last signpost they hit. You need a multi-touch attribution model to account for all touchpoints before a user converts. Multi-touch attribution is a more ideal model than last-touch because it enables you to better understand true marketing impact. By letting you see exactly what led a customer to convert at all points—both online and off—on the path to purchase, you can immediately act upon what’s working and what’s not and give appropriate credit to advertising partners. There are steps you can take to shift your business’s mindset on attribution and justify the ROI against the investment in cost, time and expertise. Read our attribution playbook for specific tactics on how to get there. We believe that for advertisers to identify their best customers at scale, they need a neutral, shared device namespace that enables global reach and proprietary value-add. We believe DigiTrust represents this opportunity, which is why we joined their consortium late last quarter. This neutral, standardized device ID will improve consumer experience by supporting privacy, reducing page load time, increasing the relevance of marketing messages and enabling the diverse ecosystem of publishers and online platforms on which they rely. We also have our own proprietary cross-device and cookieless identity solution, ConnectedID, for which we have long been sourcing deterministic signal directly from advertisers, and will start working with our industry partners to further activate. It is crucial for advertisers to be armed with knowledge related to cross-device multitouch measurement and understand the impact of mobile on their omnichannel outcomes. Demonstrating mobile performance for your campaigns has often been a challenge in digital marketing. MediaMath has been developing several new reports to provide marketers with concrete data and help them with their investment decisions. As trusted advisors for our clients, we wanted this data approach to be consultative and incorporate our analytics service to benefit our clients—we know you still need a human touch. It has been more than 100 years since the marketing pioneer John Wanamaker said, “Half the money I spend on advertising is wasted; the trouble is I don’t know which half.” For almost a century, that statement defined marketing as a profession. Things have changed. Now, with programmatic marketing and a mobile computer in your pocket, marketing and the technology it uses to connect people to messages is a force so effective and powerful that the public, policymakers, and regulators have taken an intensified interest in what we do and how we do it. That’s an opportunity. It requires us to come together to accelerate our maturation in the industry—providing more and more control, transparency, and accountability in our practices even as we continue to innovate in pursuit of outcomes. MediaMath has come a long way since the birth of the category more than a decade ago. The vision was to create a single software layer, with data and insights mixed in to make high-quality marketing decisions—which ad to buy, how much to pay for it, what to show people. And then if we could bring in AI, the math part of media, and machine learning to bear to automate those high-quality marketing decisions in real time, in runtime, we could make marketing better for everyone involved. And we did it. Here we are, 11 years later, having made digital marketing and programmatic a reality, one in which a CMO can sit in an office anywhere in the world, push a button, and, like magic, immediately change how his or her message and brand are displayed on billions of screens. It’s amazing. And there is so much more to come as we ask this machinery to drive more sophisticated goals, as we infuse creativity and storytelling (back) into platforms. The moment has arrived for the industry to mature beyond its gangly adolescence, to focus on the consumer experience and respect for digital dignity, to match strength for strength. The stakes are high. In Europe, regulators have adopted data protection and privacy regulation intended to give control over personal data back to citizens. Elsewhere, regulators and legislators are considering whether and how to address these issues. Without the right guardrails on use, we’ve seen marketing technology weaponized to inflame schisms in society, swing elections, reshape economic and trading blocks. This is our opportunity to meet the rising expectations of the society we live and work in to ensure that the engine of the digital economy, data-driven marketing, runs smoothly and takes us to a place we all want to go. MediaMath was there at the beginning, and we intend to lead the next phase with clear intent and direction, focused on our mission—to make marketing everyone loves. Consumers want to understand and control how their data is being used and why, as well as be able to trust the companies that are using it. Marketers want to know exactly who they are reaching and why, and want trusted partners along every step of the value chain. Everyone agrees that, as an industry, we can do better. It all starts with remembering the human being on the other side of the screen. That’s why in 2018, we will focus on continuing to further build the infrastructure and software that connect consumers with the brands and companies they love in a way that they love. Our mandate for this year and beyond is continued transformation. Our product offering will evolve along three pillars: supply chain refactoring, next-generation identity / audience capabilities, and augmented AI. For our clients, this work will manifest in better outcomes—marketing dollars spent smarter, with decisioning powered by unique data sets and AI. For consumers, these initiatives will provide a better experience—brands that consumers know and trust, in an environment that respects them, bringing the whole industry toward a more idealized vision of what advertising can and should be. We appreciate you joining us on this journey. Together, we are going to make marketing everyone loves. We invite you to challenge our ideas, inject your own, and evangelize with us to make this a reality in 2018 and beyond.